Many are questioning the U.S. Postal Service’s decision to wait several months to make public a breach of employees’ personal information, though the agency defended the delay as necessary to mitigate the fallout from the hack. 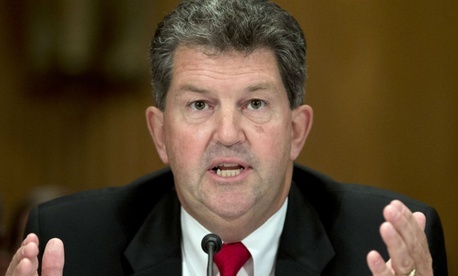 “We are demanding information from the USPS about the extent of the breach -- both known and suspected -- and what postal management knew, when they knew it, and what they did, or failed to do to protect employee information.” He added the Postmaster General Patrick Donahoe only gave him a “courtesy call” on Sunday night, and did not engage the union leader in a discussion of how to deal with the problem. While USPS claims none of the information has been used for “malicious activity,” management will offer employees one year of free credit monitoring through Equifax. Employees will be notified of their eligibility through a letter and will have 90 days to sign up, at which point they would be insured for up to $1 million against identify theft. “Other remedies may be required if employees suffer identity theft as a result of the breach,” Davidow said. APWU anticipates the charges field with NLRB will help alleviate those concerns. Complaints over the notification delay weren’t just internal; several lawmakers also voiced disapproval of the Postal Service’s delayed announcement. Reps. Darrell Issa, R-Calif., the outgoing chairman of House Oversight and Government Reform Committee, and Blake Farenthold, R-Texas, chairman of the committee’s panel with postal oversight, said they were “deeply concerned” about the hack, and will push USPS for more information. Congress was notified of the data breach several weeks ago, but the Postal Service at that point deemed the matter classified. In a message to employees, Donahoe defended the decision to not notify employees of the attack until Monday, but offered his “sincerest apologies” for the breach. Rep. Elijah Cummings, D-Md., the ranking member on the oversight committee, penned a letter to Donahoe asking for more details about the attack. He wants more information about the steps USPS has taken since the breach to improve its cybersecurity and the procedures it uses to ensure its third-party vendors and contractors maintain appropriate data security measures. The Postal Service said it has already “identified the methods and locations” that hackers used to access their data systems and “devised a plan to close those access routes to our infrastructure to prevent future intrusions.” The agency promised additional security measures in the coming weeks.